This week we are taking you on a roadtrip. I am headed to Upstate New York to my parents house and my 20th High School reunion. It's a six hour drive that I took with the boys. There are a lot of beautiful things to see out the window along the way, and this is just a sample. I hope you enjoy this weeks Wednesday's Window. 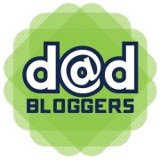 As some of you may know, voting starts today in week two for Blogger Idol 2011. I am fortunate to be one of the 11 finalists remaining in this very important competition and ask that you all support me in the coming weeks. I cannot win without the support of my loyal readers, so please take a moment today and Thursday to vote me through to the next round. There are some very good bloggers with huge followings so every vote is going to count. Lets do this for the little guy! Please take a moment and vote HERE. Thank You very much! My favorite is the bridge. I like the lines and perspective. Thanks for taking us along. Some nice images! Thanks so much. The barn used to be much cooler. There was this painting a a pretty famous blue dog. But some idiot painted over it. Oh well. The barn is my favorite, easily. I love that area of NY - been there, done that, many times! It's actually an easy six hours... Anytime they are strapped in:). I don't know if I could do five though. 5 kids, 3000+ miles, 12-13 days. No other adult in the vehicle besides me. Less than 15 days until we leave.